I will keep this short and sweet. I have done two mud runs one 5.5 miles in the Fall( in South Carolina) and a 12 mile tough mudder in the Winter( in Georgia). From those two runs I have learned a lot and if you want some advise on clothing and what too bring I will list it out for you. 1. Gloves– A good pair of gloves is essential. During the winter time they will keep your hands warm. Warm hands function better than cold hands. 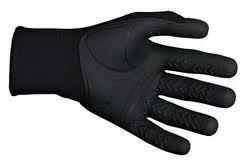 Also they protect your hands from splinters or little nicks and cuts that can occur. 2. Plan for the worst weather and hope for the Best In cold weather make sure that you minus another 10 – 15 degrees for wind and water obstacles. You may think that you will be warm from running but submerging your body in cold will cause your core body temperature to drop so keep that in my I recommend some long sleeve shirts and or long tights to wear. Not only will they help you stay warm they will help protect form cuts. 3. Bring at least two towels and simple clothes to change into after the race. In both races afterwards they had a designated area to change clothes and the ground was so muddy that it was difficult to stand or they had gravel which was painful to stand on barefoot. Bring an extra towel one to dry off the other to use as a mat to change on. It will make everything a lot easier. 4. Have family/Friends members carry water and meet you at certain parts of the race to give you nourishment and or water. Some races provide bananas and other snacks but if you have a picky stomach its best to stay with snacks that you are familiar with and have family or friends meet you at certain obstacles to provide you with those snacks. In one mud run the provided water but they ran out during my wave( I ran at a later start wave). 5. Shoes with wide/deep Tread this is important as you run up and down through the nature trails remember after water obstacles the trails will be come slick. 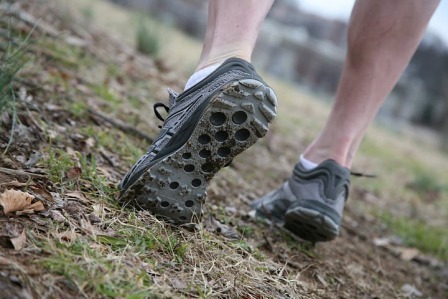 If you have low tread on shoes they will be packed with mud and become very slick. It will be similar to driving a car with slick tires on ice. 6. Practice running up and down hills. When preparing for a mud run make sure to get some hill running training because that is what you will be doing unless you are in the middle of nowhere. 8. Have Fun – When in doubt keep your spirits positive and you will have a great time. IF you didn’t have teammates before the run you will afterwards be positive and help others. Yahoooo – The Tough Mudder. I read all the entries I can on this run because they vary so much. Good points you brought up. Especially running down hill – a lot of people injure their knees or just plain wipe out because it isn’t something they are used to. Headin’ to anudder mudder soon!